New York’s Attorney General Just Won a Settlement With a Coal Giant for Climate Deception. Is Exxon Next? 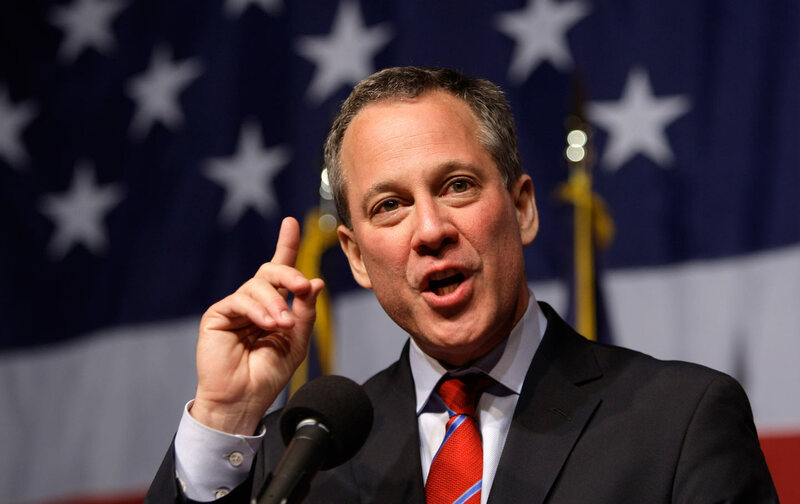 Attorney General Eric Schneiderman has issued a subpoena for nearly four decades’ worth of documents from ExxonMobil. An unprecedented two-year investigation into the nation’s largest coal producer ended Monday with a settlement between Peabody Energy and New York Attorney General Eric Schneiderman. Peabody was accused of providing “incomplete and one-sided discussions” to investors regarding the financial implications of policies to combat climate change and falling demand for coal. Though the coal giant won’t pay a fine, it agreed to amend its disclosures to the Securities and Exchange Commission to be more transparent about the business risks of selling coal in a carbon-constrained world. Chief among the “other fossil fuel companies” Schneiderman alluded to is ExxonMobil. Last week Schneiderman issued a subpoena to the oil company for documents about its research and communications about climate change, from 1977 to the present. The Exxon inquiry, which has been underway for a year, considers whether the company lied to shareholders and the public about the risks of global warming, violating consumer fraud statutes and the Martin Act, a state law covering financial fraud. Although the Exxon and Peabody investigations are similar in thrust, a person involved in the inquiries said that the relatively benign Peabody settlement should not necessarily be seen as a preview for what’s to come regarding Exxon. Peabody was accused of ignoring climate change, while Exxon has conducted extensive research on the issue. Accordingly, Schneiderman’s office believes the oil company may have engaged in a more deliberate and extensive campaign to deceive the public and its shareholders. Calls for an official investigation of Exxon have come from lawmakers, political candidates, and environmental groups since InsideClimate News and the Los Angeles Times published stories about the company’s role in studying climate science, and casting doubt on it. Schneiderman’s inquiry is the first to be publicly disclosed. The attorney general has asked for a huge trove of documents. They include Exxon’s research on the causes and impacts of climate change; documents related to how that research was factored into business decisions and financial projections; information about how the impacts of potential climate-related regulations on profits were disclosed to the SEC, the public, and investors; information about climate change presented to the board of directors; exchanges between Exxon and trade associations and industry groups including the American Petroleum Institute, the US Oil and Gas Association, and the Petroleum Marketers Association of America; documents related to funding for groups that did research on climate change; and marketing material concerning climate change, including ads, press releases, and guidance to staff about talking points.